As we usher in the New Year, there are many things that we need to focus, both professional and personal. People often code their New Year Resolutions to bring in positive changes in their lives. People try bringing changes in their attitudes in terms of work, family, health and other personal attributes. Each person dreams his own new beginning, a new life track at the onset of the New Year. Here I enlist a few HR Trends that you can practice in 2019. We know that Human Resource is steadily growing and it will continue to evolve in coming times. Therefore, as an HR professional, it’s your responsibility and prime duty to take center stage, manage and profess the right directions to your workforce. If you are committed to yourself and your work, it’s high time that you introspect yourself and find the major pitfalls that you made in your HR journey. Take an aisle through you last year performance and identify the crucial changes that you need to bring in this New Year. 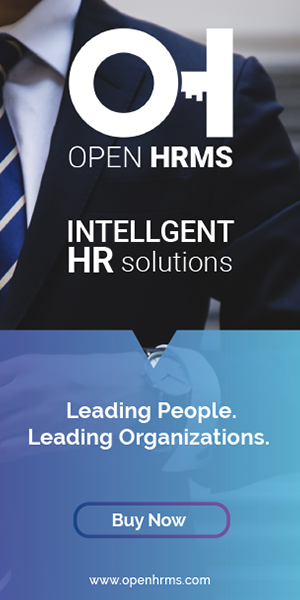 Try identifying some HR trends, some revolutionary steps that can not only transform you or your employees but also your organization as a whole. If you find it hard to find by yourself, let me help you out in bringing some. Top 5 HR Trends that you can follow in 2019. Personalization has always been in the top list of HR glossary and in the coming year, the need for personalization or individualization is getting more intense. It’s high time that you ask yourself as an HR professional, that how far you or your organization has been successful in treating your employees in person, selflessly taking into consideration your employee’s wishes and capabilities into your account. If you have underestimated the power of personalization in HR, it’s high time that you fix it. If you don’t account your employee, the repercussions are going to be negative. You might be thinking how? Here it is. As an HR, if you don’t provide a compelling employee experience to your workforce, your organization is likely to witness employee erosion. The employee retention rate is going to drop down like anything before. You will see your employees moving to a more employee-centric organization, putting a present workstation in significant loss. For this reason, an HR professional should never undermine the power of personalization or the user experience at workplaces. Personalization is a demanding and equally leading HR trend for New Year to retain right talents in the organization. Often it is seen that the trust factor is again underestimated or least bothered about in organizations. The predetermined notions of employees, previous work experiences often coins together in showcasing a neutral tone towards the work and workmen. Both management and employee remains to the stigma that there is no point in trusting or valuing a boss or his employee, as anybody anytime an each other depending on their circumstance. This is completely absurd. Inculcating trust within the organization should be your next HR trend for this New Year. A trustful employee-manager relationship can only showcase the best result. There entail several levels of trust by employees upon their organization. Employees completely rely on the organization for their career development and constant improvement of their skill. If the management fails in standing up to the employee expectation, it is likely to harness the employee-management bond. As an HR professional, it is your foremost duty to inculcate trust between both parties, create a heightened sense of loyalty from the employee and management side. Trust issue can eventually fix all tension with respect to assurance of better productivity and efficiency. Confused over the title? Let me clear it up. The finest example you can take is football. In football, often players hire organizations to help them in getting better. There are organizations who work like statisticians focussing on players, who sit together after each match, look at the data and say, “how to do better next time”. The very well can be implemented here in the workplace or your organization. A new HR trend can be coined under the title Human Resource Development, where you can strategically focus on the development and betterment of your acquired talents. Via inculcating varied strategies like employee training, employee career development, succession planning, performance review, real-time mentoring, as an HR you can bring in new trend to your employee approach, bringing qualitative changes in the workstation. This not only motivates the employees but also increases the employee retention rate. wave of cultural diversity in workstations can shape the organizational structure in many aspects. But it is often seen that many workstations prefer local talents to work for their companies citing reasons like better coagulation, more flexibility, better communication, and more retention. But this is not right. We can see many multinational companies advancing for diversified work culture to pool in right and best talents. If we narrow down the horizons, we may lose the right talents that pool their expertise for company betterment. Setting a platform for diversified workforce fuelled with freedom and empowerment can bring in more innovation and creativity. The company can adjudge growth in terms of skills and exposure. Language barriers and cultural differences can be curbed down via frequent interaction with employees thereby make it possible for the company to perform on a global basis and confidently interact with the broader-client base. Engaging diversified workforce also turns your company more relatable in the global platform. Make sure that you acquire the right talents for your organization in this New Year. As an HR professional, always remember big is beautiful, meaning experienced talents or only the big talents can pool large expertise benefitting the organization. The new HR Trend for 2019 can be cultivating the habit of acquiring experienced rather than going for fresher and later training them. Yes, of course, you can go for them but not for senior positions in the organization. The major job function has to be handled by seniors so that right decision favoring positive growth of the organization is assured with. Recruitment through artificial intelligence and other technologies can fasten the acquisition programs, make it effective. Creating digital aware workforce can be an imperative change in this New Year for your organization. In short, at this new beginning, every HR should come up with one or the other HR trends to make your organization more engaging and productive. Make sure, every HR distinctively pass in creating the sense of value among the workforce. Make sure, you don’t underestimate the virtue of your important profession in this New Year. All the best. Have a great year ahead pals.